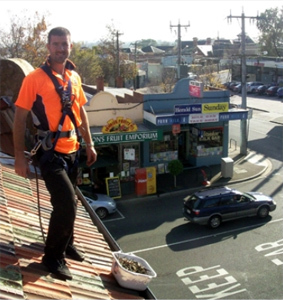 Gutter Cleaning Greensborough - Jim's Gutter Cleaning offers Gutter Cleaning services in Greensborough. The Jim's Group are happy to announce that thay are now specialising in double story and above gutter cleaning. Fully trained staff, with appropriate saftey equipment and insurance, cover all suburbs of Melbourne. Our service includes free roof appraisal and we can organise regular maintenance programs for your peace of mind.